2014 has arrived, and just like at the beginning of every new year, people make resolutions for the new year. If in this new year, you want to save electricity and also some money, then do check out the infographic below to see some quick tips to do so. 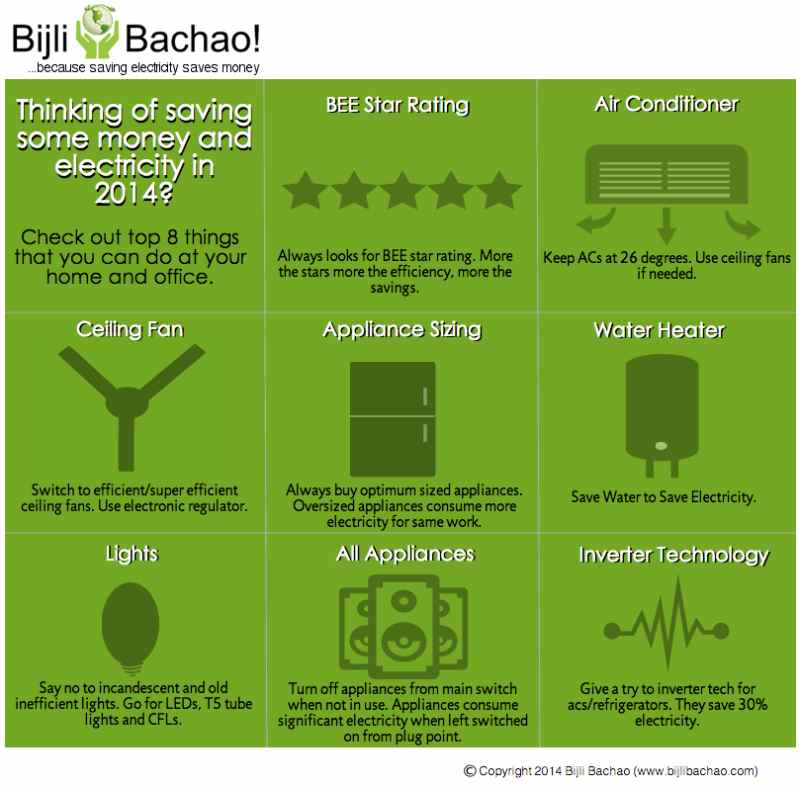 We have arrived at these tips by analyzing some of the most common mistakes that people did in 2013 (based on the response we collected at Bijli Bachao) and also on the latest energy efficient technologies that came out in market that can save significant amount of electricity.